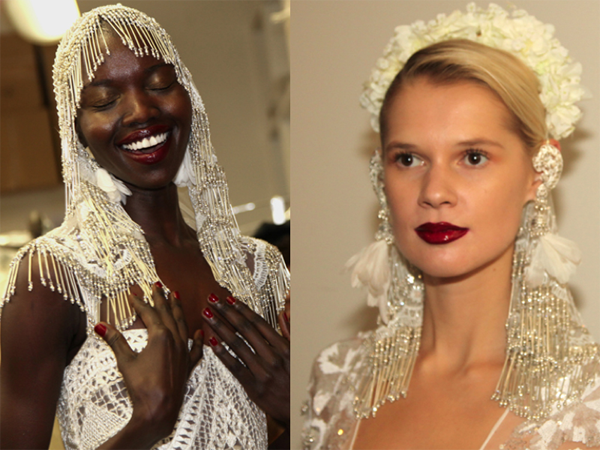 Posts Tagged "NY Bridal Fashion Week F2018"
Home » Posts Tagged "NY Bridal Fashion Week F2018"
Exquisite and new-looking jeweled mini veils were worn with stunning earrings and floral headpieces, all made by Naeem Khan for his romantic and stylish New York Bridal Fashion Week Fall 2018 Show. The makeup, by Chika Chan, Make-Up Pro had rich red lips and neutral eyes. Stay tuned for more from this wonder show.